The order books are soon to open on Ford's new 2017 GT, however the American brand added new details to the order process which will make it a little bit harder to get your hands on the mid-engined hypercar. Following in the footsteps of the like of Ferrari, priority to buy the first 250 GTs will be given to previous blue oval owners – however, we doubt a 2001 Fiesta would get you very high up the list. Drivers of previous-generation GTs will reportedly receive the highest priority. Attention will also be paid to the amount of use the 600hp, rear-wheel-drive beast will get. 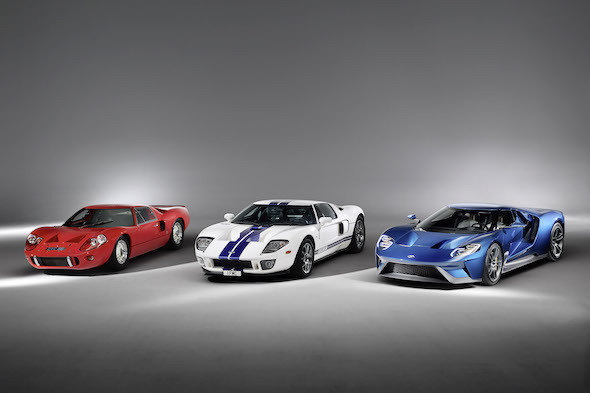 Ford want the GT to be driven, rather than hoarded to protect future value – so much so in fact that buyers will be required to sign a legal document preventing the sale of their GT until a certain time period has passed. Vice president of product development at Ford, Raj Nair, told the Detroit News: "There's a loyal following to the car. We want to prioritise people who are going to care about the car, keep the car and drive the car." The newspaper also reported that the lengthy application will include questions on the prospective buyer's social media use. "[The application] will try to understand what your relationship with Ford is," Nair added. Ford can afford to be picky with buyers, as whilst executives haven't yet revealed how many of the twin-turbo V-6 engined cars will be made, it is unlikely that everyone who wants one will be able to get their hands on one. And with prices expected to begin at around £275,000 ($400,000), it is unlikely that everyone who wants one will be able to afford it in any case.